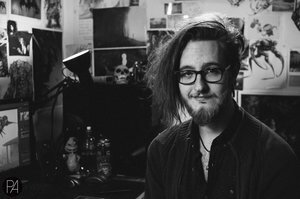 Hey I'm Austen, a concept artist & illustrator from Perth, Western Australia. I've got a passion for creating dark and twisted characters and creature. I've worked on many projects over the years, and have done work for the video game, film and publication industries, as well as exhibited at many events around Australia. Apart from freelance, I'm also working on my own IP post apocalyptic art book project 'EXECUTION', as well as the sketchbook series "My Shadows". Enjoy my portfolio and feel free to take an extended look at my work on deviantART or my Facebook Page. If you have a business inquiry or were after a signed print, feel free to contact me at austenmengler@gmail.com. Thanks!